Pravrajika Brahmaprana is a member of the Sarada Convent in Southern California since 1973 and an ordained nun or sannyasini of the Vedanta Society of Southern California. 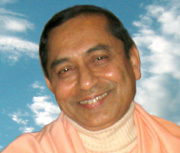 Brahmaprana has been a Vedanta representative of the Hindu-Catholic Dialog sponsored by the Archdiocese of Los Angeles as well as interfaith councils and initiatives in Dallas-Fort Worth, a frequent guest lecturer at schools and colleges in America, and has participated in interfaith and scholastic seminars in America and abroad. Brahmaprana has compiled and edited several books on Vedanta, including The Complete Works of Swami Vivekananda, Volume 9; Vivekacudamani of Sri Sankaracarya, translated by Swami Turiyananda; and With the Swamis in America and India. She has also written numerous articles on the philosophy and practice of Vedanta for journals and anthologies in America and abroad. 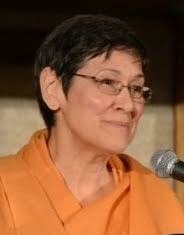 Brahmaprana is currently the Resident Minister of the Ramakrishna Vedanta Society of North Texas.